I don't make New Year's resolutions as a general rule, but I did recently make a new commitment to eating breakfast and taking nutrient supplements. I found my energy reserves lagging by mid afternoon, even after having lunch. I was grabbing unhealthy snacks to give a quick boost of energy. So, part of this new commitment means thinking about what I should eat when the snack attacks happen, before they happen. I have discussed the Special K morning shakes in a previous post, but recently got to try the new Mocha and Cafe Latte flavours. YUM! 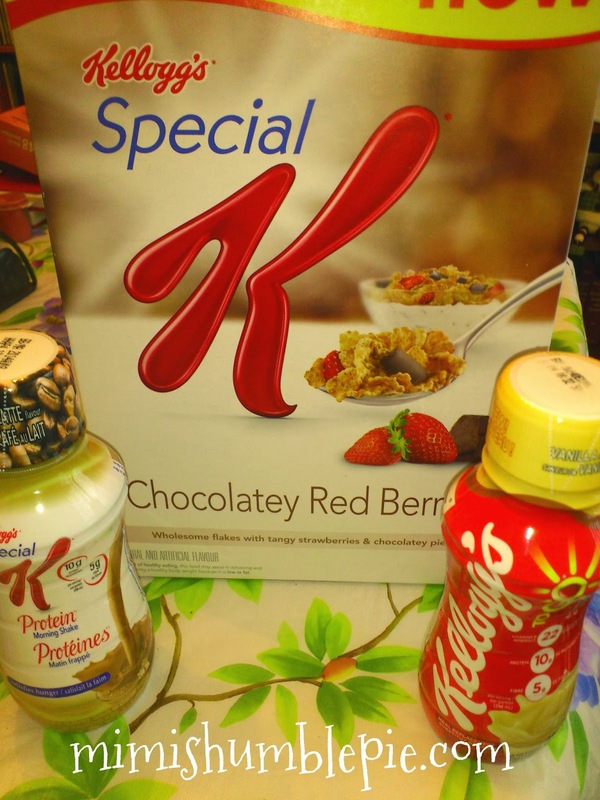 The Special K Chocolatey Red Berries cereal is also quickly disappearing. I keep a serving in a small container in my purse to curb the crunchy munchies when I'm on the go. Kellogg To Go Breakfast Shakes with 22 essential nutrients and 10 grams of protein. Kellogg Nutri-Grain Fruit Crunch bars with 17 grams of whole grains. Special K Pastry Crisps are just 100 calories and now come in Cookies and Creme & Chocolatey Caramel flavours. Special K Cracker Chips are 80 calories per serving and now come in my favourite chip flavour (Salt and Vinegar). Disclaimer: As a member of the Kellogg's blog community I receive occasional product perks. All opinions on this blog remain honest and my own. I defeat my snack attacks by trying to drink something first. I may just be thirsty and not need anything to eat after all! I have containers of raw vegetables in the fridge. When i get a snack attack, I can munch on those first. I defeat my snack attacks by always having granola bars/cereal bars and fresh fruit on hand when I`m feeling hungry. I like to organize my veggies and fruits into clear containers and put them the front of the fridge. When I'm hungry or the kids, they grab it to go. Cut up some fruit and vegetables in the fridge is good. Every weekend I buy fruit and veggies and wash them up so they are ready for snacks on the run. We also eat a lot of granola bars! I would like to try these fruit crunch bars. I always bring a banana with me, its a self contained treat! cut up fresh vegetables when you buy them, and keep them in containers in the fridge so when you are ready to go, you can just grab it and go. I keep raisins and sunflower seeds in my purse. I defeat snack attacks by drinking water to curb it or grab fruits or vegetables. I keep nuts and dried cranberries stashed in my purse. I keep a greek yogurt in the freezer to grab when I am craving ice cream. Cold, thick and creamy. Yummm. I have hypoglycemia so I always have a snack bar on hand. Problem is that the kids always want to eat it. Not that I mind because they're a healthy choice! I bring the easy to open cans of tuna and a tortilla wrap! We always keep lots of yogurt and fruit around for snack attacks! I drink a glass of water and try to wait 20 minutes to see if I am really hungry or just thirsty. I always have some fruit or a puck of raisins to help the snack attack urge! 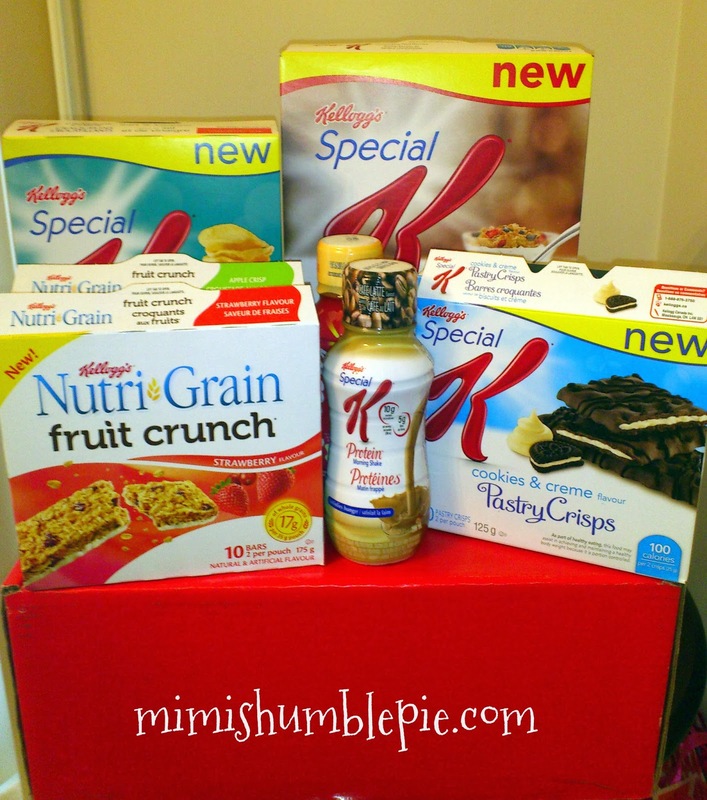 It would be great to win the Kellogg’s Canada Prize Pack. I defeat my snack attacks by keeping a cereal or granola bar in my pocket. I keep a little bag of nuts with me for cravings and I am usually found with tea in my hand (portable vessel).